En stickad mössa med Windstopper. 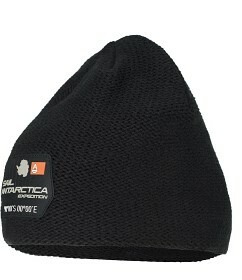 Antarctica Windstopper Beanie made in cotton and acrylic. Lined with GORE Windstopper® fleece which makes the beanie windproof. Sail Antarctica badge at front.